What Is the Best Mortgage for My First Home? Buying your first home is likely to be one of the most exciting times in your life. However, the financial commitment it takes to invest in a home can be nerve-racking. 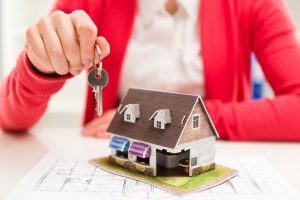 Fortunately, many lenders offer first time home buyers a variety of home loans designed to make the home buying process simple and affordable. Remember, there is no one ‘best’ mortgage loan for everyone. As each borrower has a different budget and needs, you will need to review your options before settling on a specific loan. Once you have determined that you are really ready to take on homeownership, you will want to look closely at your financial status. It is wise to get out of debt before getting any type of loan. You may also want to build up an emergency fund to ensure that you are prepared to cover any unsuspected repairs or maintenance once you move in. Also consider your income before getting a home loan. As a general rule of thumb, most experts suggest spending no more than 30 percent of your gross monthly income on housing. If you feel that you are financially ready to take on a mortgage, you can begin shopping for a loan. Before you can start looking at houses, you will need to get pre-approved by a lender. This will give you an idea of what homes you can realistically afford so that you do not waste your time or the realtor’s. A mortgage broker can present you with loans from multiple mortgage companies to ensure that you find the best rates. Know that there are different types of mortgage loans available with various payment options. Fixed-Rate Mortgage: The most common type of home loan is the fixed-rate mortgage. With a fixed-rate mortgage, the interest rate remains the same throughout the life of the loan, meaning the principal also stays the same. Today you can find fixed-rate mortgages ranging from 10-year to 40-year or more. One of the biggest drawbacks of a fixed-rate mortgage is that the interest is usually higher than with an adjustable-rate mortgage. However, adjustable rates can go up over time. FHA Loans: Federal Housing Administration (FHA) loans are a type of mortgage designed for low-to-moderate income borrowers who do not have the funds necessary to put down a large down payment. With an FHA loan, borrowers can purchase a home with as little as 3.5 percent down. FHA loans are also easier to qualify for making them a popular option among first time home buyers. VA Loans: Veterans Affairs (VA) loans are a beneficial home loan type for veterans and their families. A VA loan may or may not require a down payment and are made through private lenders. The requirements surrounding a VA loan vary depending on the year of service and whether or not the individual’s discharge was honorable. VA loans are guaranteed by the Department of Veterans Affairs. 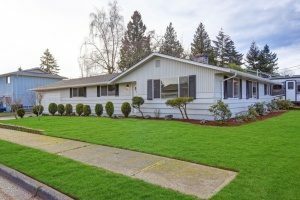 Interest-Only Mortgage Loans: While the name is a little misleading, interest-only mortgage loans have some favorable terms. With this type of mortgage, borrowers have the option to make an interest-only payment for a certain period of time. With a mortgage-only interest, the principal balance is never reduced as you are only paying the interest. This means that you will owe the same amount of money no matter how many payments you make. A first time home buyers loan can help you enter the real estate market with confidence. 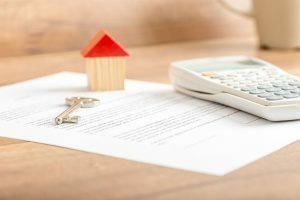 Whether you are interested in applying for a conventional home loan, VA loan, FHA loan, or other type of mortgage available to first time home buyers, you will want to carefully read the terms and requirements. Not all first time home buyers are eligible for certain types of home loans. Before you can gain approval for a first time home buyers loan, you will need to provide two years of tax returns, W2s, or paycheck stubs. You will also need to provide two to three months of bank statements, and proof of down payment. Depending on the type of loan you apply for, you will need to meet certain qualifications. For example, an FHA loan typically requires a credit score of at least 580. If your credit score is lower, you may be responsible for paying a larger down payment. Also remember that if you do not have at least 20 percent for a down payment, you will need to purchase mortgage insurance which results in an additional monthly cost. Some types of mortgage loans require no down payment, such as VA loans and USDA loans. You may be eligible for a first time home buyers loan if you have never purchased a house before. You may also qualify as a first time home buyer if you or your spouse has not owned a home for at least three years. However, you must also meet other requirements depending on the type of loan and the mortgage lender. Some first time home buyer programs are dependent upon income. If your income exceeds a certain amount, you may not qualify for a first time home buyers loan. You may also not qualify if you plan to buy an investment or rental property. Once you have made the decision to buy your first home, you will likely want to get started right away. To ensure that you take the proper steps towards homeownership, talk to a mortgage broker in your area. A mortgage broker acts as a middleman between potential lenders and interested home buyers. It is the responsibility of a broker to find you the best home loans with the lowest rates based on your unique criteria and budget. Contact a mortgage broker to learn more about your home loan options or to apply for a mortgage.